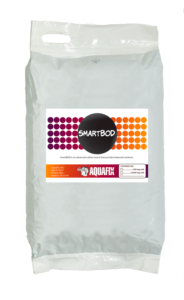 Aquafix has interacted with many operators over the years who have been quite concerned about the effects QACs have had on their wastewater plants’ function. Many wastewater operators rely on Quat binding products to prevent Quat toxicity in their systems, but it was always unclear whether Quat binding products were effective, or if QACs were the cause of the plant problems in the first place. Due to the lack of formal studies into the effects of Quat in wastewater, Aquafix began a research project in this area in 2017. Determine how toxic QACs are to wastewater systems and use this data to determine if Quat toxicity is a probable cause of wastewater issues. Determine how other adverse conditions may impact the toxicity of Quats. Find an effective way to prevent QAC toxicity, and determine if common Quat binding products are effective to prevent wastewater toxicity. *At this point, our research project is ongoing, but this article will include Aquafix findings up to September of 2017. What are Quaternary Ammonium Cations? Quaternary Ammonium cations (QAC or Quats), are a class of molecule often used as disinfectants in a variety of industries such as cheese plants. 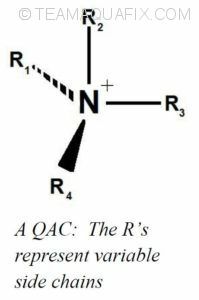 All QACs consist of a nitrogen cation bound to four separate side molecules (R1-4). 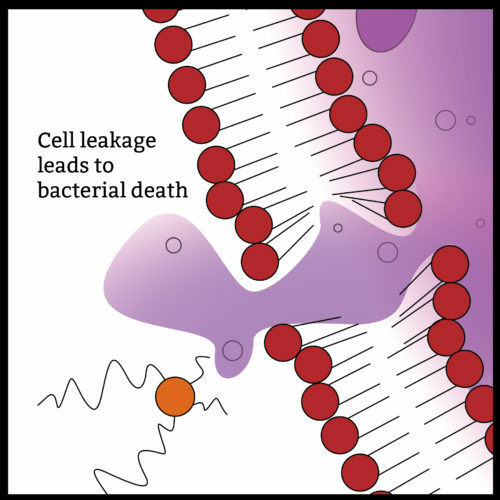 QACs function by direct contact with bacteria. Their positive change and shape causes them to rip apart bacterial cell walls and membranes. These compounds are known to be quite stable and therefore can remain active in wastewater systems for some time. Due to their effectiveness as a disinfectant, these compounds are often thought to cause toxicity issues in wastewater systems. 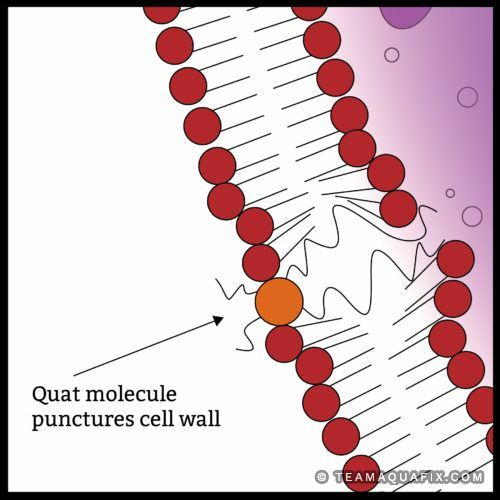 The Quat molecule pictured above in orange works to kill bacteria by first puncturing the outer cell wall. The punctured cell then looses its vital fluids and dies. What is more devastating is that the Quat molecule is then free to act on other cells many times over before it becomes neutralized. Complete experimental methods are beyond the scope of this article, but some information is necessary to better understand this study. Our tests were performed in 500 mL Erlenmeyer flasks on an orbital shaker plate set to a standard RPM for different areas of the study. Water was decanted from each of the flasks daily, and sludge was wasted weekly from the flasks. Overall the function of these reactors is similar to an SBR. We intend on studying a wide variety of wastewater mixed liquor and influent sources but at this point, we were using our lab grown sludge in our small-scale wastewater system and SmartBOD as a food source. We also added Ammonium to our flasks to analyze Quats toxicity to nitrifiers. The QAC solution used in these studies was provided by a local cheese plant. Acute QAC toxicity studies were designed to measure what levels of Quats are required to impair the function of a healthy wastewater system. Quat was added along with feed in a onetime dose to our healthy wastewater mixed liquor flasks which were mixed for 16 hours to reduce nutrients. COD and Ammonium removal after 16 hours were measured to analyze toxic effects of QACs. Initially we used a sample of lab mixed liquor with 3000 ppm MLSS in this study and added several different dose rates of Quat to get a rough estimate of what concentrations should be added for our tests. Up to 10 ppm, we did not observe any negative effects on our lab mixed liquor, but began observing effects on ammonia and COD removal at higher dose rates. Lower numbers represent less effective nutrient reduction, indicating Quat toxicity. 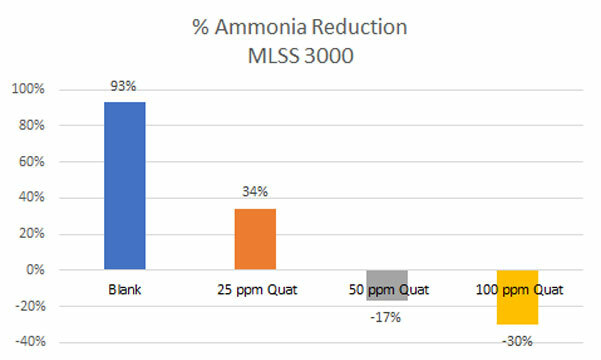 When Starting with a robust healthy MLSS, Ammonia and COD Removal continue reasonably well at concentrations of up to 25 ppm of Quat. As can be observed above, on a healthy sludge sample with a MLSS of 3000, QAC toxicity required very high concentrations. 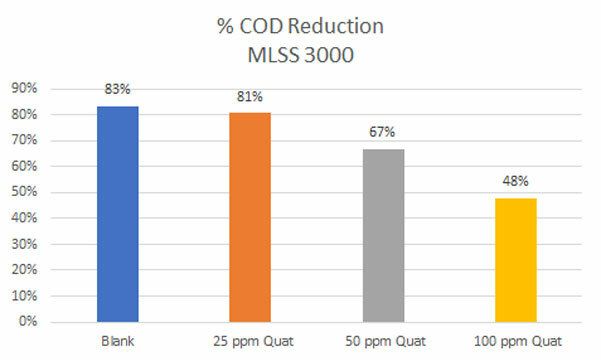 We measured significant reduction in ammonium removal at a 25-ppm dose rate of Quat, and it took around 50 ppm of Quat to damage heterotrophic bacteria enough to cause significant reduction in COD removal. 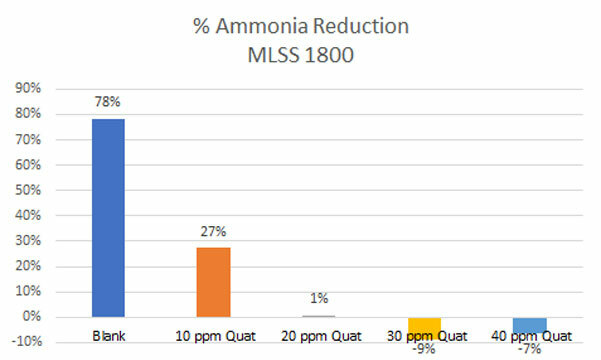 We then decided to reduce the MLSS to 1800 and repeat the test to see if lower MLSS would cause QACs to be toxic at lower concentrations. To hone in on the Quat toxicity threshold, Aquafix tested response with lower amounts of healthy mixed liquor. 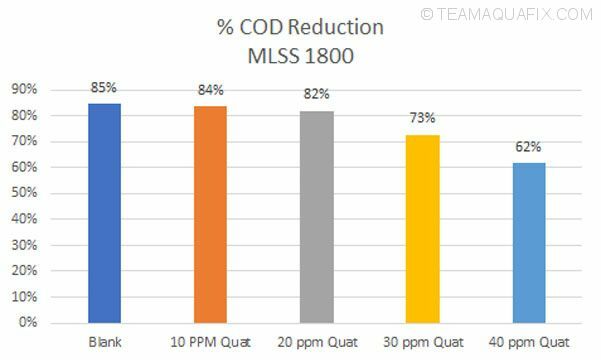 Nutrient Removal is significantly impaired by 10 ppm of Quat, while COD removal tails off at around 20 ppm of Quat. We observed that reductions in ammonia and COD removal occurred at significantly lower Quat concentrations. This also leads one to assume that many different variables in a wastewater process could significantly impact the toxicity of Quat. 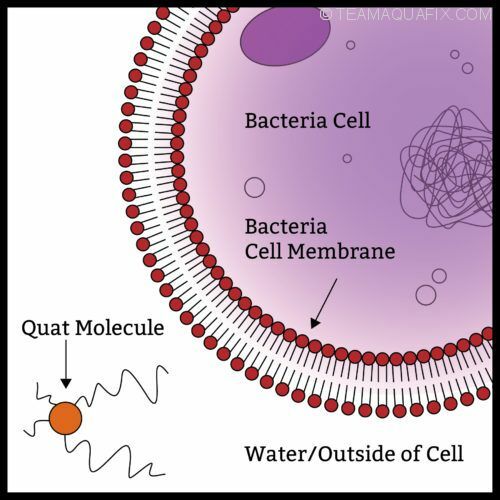 It has been thought that due to the stability of QACs in wastewater, and their ability to stick to bacterial cells walls, Quats may accumulate in wastewater systems leading to chronic toxicity from a low dose rate. Our long-term study was run over a one-month period with weekly measurements taken to determine mixed liquor health. Quat was added daily at 1, 5 and 10 ppm to our reactors. No significant impacts of Quat toxicity were observed after one month, aside from an apparent decrease in the stability of nitrite oxidizing bacteria. Nutrient removal and settling properties as well as ATP levels were not well correlated to QAC dose rate. This indicates QAC’s do not accumulate in a wastewater system. These results could vary depending on wasting and flow rates. This study was designed to determine how an additional source of stress would influence how toxic QACs are to wastewater mixed liquor. In this case, we acclimated a lab mixed liquor sample to 20ºC (68ºF) and added a slug dose of Quat while simultaneously placing the flasks on a shaker plate in a cooler to reduce the testing temperature to 7ºC (44.6ºF) as a temperature shock. Tests were performed with 3000 ppm MLSS and healthy lab sludge. Lab proven options for recovering from toxicity upsets. Adds new bacterial cultures and probiotics to help rebuild MLSS following an upset. Helps build a bacterial floc that is more resiliant in tough conditions. Can help grow a MLSS that more easily handles chronic low concentration toxicity. COD and Ammonium levels at the start of this test were equal as the MLSS in this test came from a mixed sample. The mixture was fed about 250 ppm COD, and 10 ppm Ammonium at the start of this test. Quat was then fed at 5 ppm (low dose), 10 ppm (medium) and 20 ppm (high dose) to each flask. As can be observed above, significant changes in Ammonium and COD removal were observed at our medium dose. Overall, our low dose of Quat and our Blank performed very similarly after temperature shock. 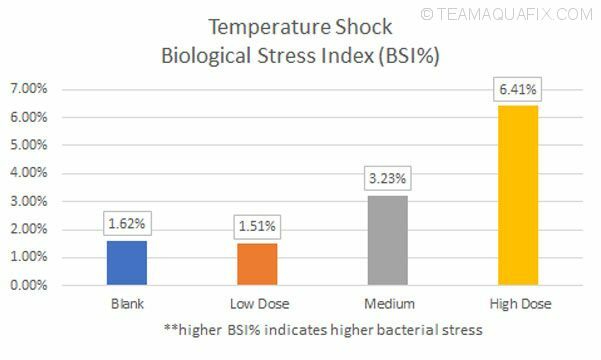 We also measured the effects of temperature on the biological stress index (BSI%). This testing is more sensitive to change than nutrient uptake. A lower Biological Stress Index (BSI%) indicates a larger percentage of your mixed liquor is healthy biomass. Once again, it took our medium dose (10 ppm Quat+Temperature Shock) to increase stress levels. Testing Biological Stress Index helps gauge when bacteria are impaired. At 10 ppm of Quat the bacteria tested were beginning to show significant signs of stress. After the initial temperature shock testing, we allowed the flasks to run at a cold temperature with a reduced dose rate of Quat. This was designed to determine how QACs influence the recovery of a wastewater sample after an initial temperature shock. The low dose in this test was 1 ppm, medium was 5 ppm, and high dose was 10 ppm. All Quat was added daily. Measurements were taken one week after the initial slug dose which was tested in our Temperature Shock study. We analyzed for change in total ATP in this case because this allowed us to determine bacterial energy production at the cold temperature. The more ATP produced, the more active the bacteria. In this test, it appeared that even at our low dose of Quat (1 ppm daily after 5 ppm slug dose), recovery of bacteria was measurably slowed. At higher doses, the bacteria appeared to be in worse health than after the initial shock, indicating that bacteria were not recovering. It appeared that QACs can make wastewater plants take more time to adapt to cold temperatures. In our acute Quat testing, we determined very high doses of Quat were required to damage a healthy wastewater mixed liquor sample. This indicates that if a plant is in good health to begin with, it is unlikely that Quats will substantially damage plant performance. We also observed that with equally healthy mixed liquor samples, higher MLSS levels allow for a wastewater system to handle higher incoming Quat concentrations. In our long term QAC testing, we did not observe any signs that Quat builds up in a wastewater system over time. We did observe a slight decrease in the stability of our nitrite oxidizing bacteria in higher Quat dose flasks, but this was not very distinctive after 1 month. 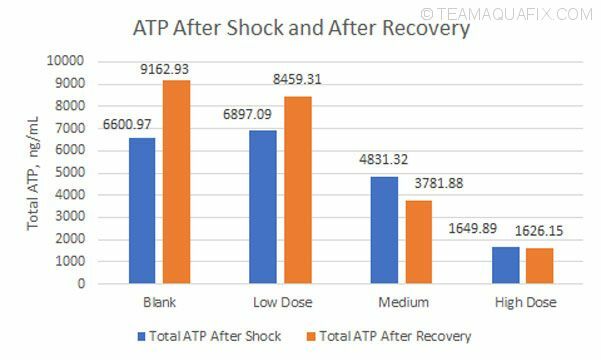 In our temperature shock and recovery studies, we observed that the effects of QAC were significantly more potent when an additional form of stress such as temperature shock is present at the same time. We also noticed that even low doses of Quat can interfere with the ability of bacteria to recover from another form of stress such as temperature shock. ** It should be noted that exact values for Quat toxicity will vary greatly from plant to plant. The values in this paper should be used primarily for general guidelines, not for exact values. Currently, we are testing the effects of QACs on wastewater mixed liquor which is already acclimated to cold temperature. In the future, we are intending on testing QACs on a wide variety of wastewater samples, and also to test Quat Binding products and develop our own unique QAC toxicity solution. This overview will be updated in the future with new findings. Feel free to contact us if you have any questions relating to Quaternary Ammonium Cations in wastewater.